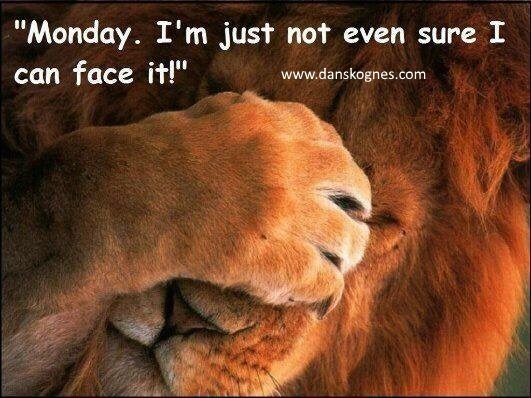 To be honest, I don’t understand why some people dread Monday. I think it is because so many people are not doing what they love to do. I look forward to Mondays. I teach, I write, and I interact with people that I care about. I do this every day of the week because I truly love what I do. I heard a preacher explain the difference in how some people get out of bed in the morning. The first person says, “Good morning, Lord!” The second person says, “Good Lord, it’s morning!” LOL. It is a matter of perspective, right? If you are a person that continually gripes about Monday, I would encourage you to take a hard look at what you are doing for a living. If you truly are doing what you love, then quit griping about it. Ain’t nobody got time for that, right? LOL. If you don’t like what you are doing, start finding something that you are truly passionate about and pursue that with all your heart. I helped screen kids for the business school at TCU this week. It was interesting to talk to the kids and hear what they were pursuing. Most were still trying to figure out what they wanted to be, but a few of them had already figured out what they wanted and had a laser focus on what they were going to do for a living. I think part of that is due to good parenting and partly due to the school they attend. Schools have come a long way in helping kids find their way. One of the things that I think is pretty cool about the TCU program is the intern program they have that helps kids test the waters in things that are of interest to them (even internationally), as well as the projects they do in classes that allow them to work in teams towards common goals as if they were in a real business. When I was in college we did not have the intern programs available to us nor the team projects which simulated businesses. We played a board game but it was pretty rudimentary. Even though I teach at the elementary school level now, I still try to help kids identify what they are good at. When I see a gifting in writing, art, science, math, athletics, or whatever, I praise them for it and let the parent know that they have a gift in that area. Hopefully I will help them on their journey to find their passion and avoid the Monday Monday syndrome. Monday, Monday by Dag Skognes is licensed under a Creative Commons Uznanie autorstwa-Na tych samych warunkach 4.0 Międzynarodowe License.